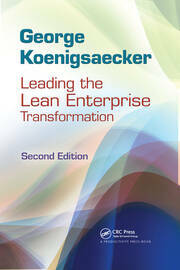 Without Lean leaders, there can be no Lean. 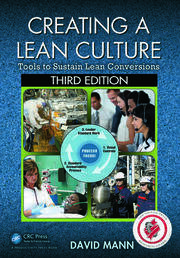 If an organization wants to be Lean, its leaders must lead using Lean principles. Put another way, until the top of your organization fully embraces Lean, the rest of your organization will never be Lean. 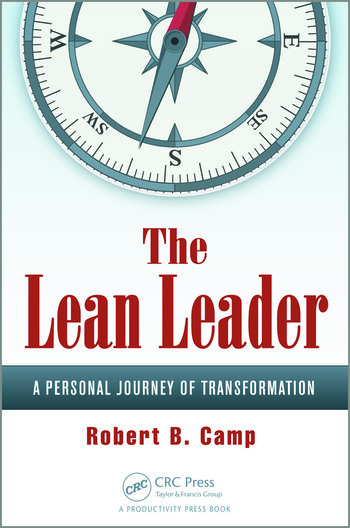 The Lean Leader: A Personal Journey of Transformation uses a compelling novel format to tackle the nuts and bolts of leading a Lean transformation. Readers follow along as the characters face real crises and what seem to be unreasonable deadlines. As the story progresses, readers will see how the main character, Don, and his colleagues transform from being "command and control" autocrats—those who make decisions and bark orders—to more Socratic coaches and mentors. As Don and his staff come to realize that the folks they employ are the real experts in the processes they control, you will learn why it behooves you to do more asking than telling. You will come to realize that a leader’s greatest skill must be in coaching great performance from their people. You will also witness the difference between managing and leading. After reading this book, you will understand why it’s so important to shed the decision-making tasks that have cluttered your days, and how to delegate those decisions to employees who are closer to the action. You will learn how important it is to look over the horizon to identify upcoming challenges, define and communicate new courses of action, and compel others to follow. Most importantly, you will learn exactly what it takes to lead a Lean organization that thrives socially, as well as financially. A graduate of the US Military Academy at West Point, Robert began his career in one of this country’s foremost schools of leadership. Yet, like most, he gained his real impression of the skill by watching leaders. He came to realize that leadership is a precious gift that far too many fail to recognize. In the mid-1980s, as Americans began to watch markets they had created be penetrated, then dominated by Japan, Robert started reading the literature trickling out of that country. Each new book pointed to a new technique. "Statistical process control (SPC) is how they’re doing it!" proclaimed some. "It’s quality circles," countered others. Still others claimed it was just-in-time (JIT) manufacturing. As it turned out, none was right; all were right. Over time, as a more complete picture formed, Robert learned that it was the combination of those tools that gave the Japanese their considerable edge. Still, the picture was not quite complete, and it wasn’t until the late 1990s that the world came to realize that the tools alone would never make an organization Lean, because their results couldn’t be sustained. By then, Robert had made Lean a full-time profession. 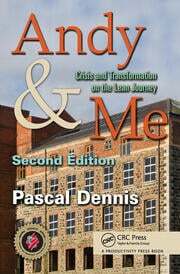 Over and over he transformed organizations. Some succeeded, but most failed. He tried to make heads or tails of the circumstances that made the difference. The answer, he discovered, was right under his nose all the time. The difference was leadership. He learned that many have been content to manage and call it leadership. Management, however, isn’t leadership. In fact, it’s a far cry from there. Management faces backward, analyzing yesterday’s data and perfecting it today. It’s an extremely valuable skill, and much-needed, but it’s not leadership. Leadership, as Robert sees it, is the ability to look forward, over the horizon and through the haze of battle, to define, then communicate, a new course of action and compel others to follow. Robert has had the good fortune to work for some of this country’s biggest and most successful organizations. Throughout his career, he’s been afforded the privilege of working under great men and women who have taught him both in word and deed. Now a full-time consultant, Robert was the vice president of operations for a company making specialty apparel for the healthcare industry when he penned this novel.